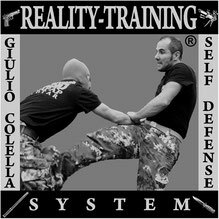 The Reality-Training System ® was born in 2007 in the City of Naples, set up by Master Giulio Colella for the self-defense of civilian, police and military. Giulio Colella is one of the most complete experts, national and international, of self-defense for civil, police and military; International Master of Kapap Lotar and Krav Maga; Master of Kick Boxing; Istrutctor of MMA - Mixed Martial Arts, Instructor of Women Self Defense; ex Military VFB Italian Army, currently Professor at the Regional School of Local Police in the Campania Region (Italy), he coached several Police Headquarters of the Campania Region, trained Operators of the Italian Special Forces, trained Security Operators as bouncers, bodyguard and private police; and members of the Armed Forces as military and Air Force pilots. In recent years The Reality-Training System ® of Giulio Colella has sought to revolutionize the world of personal and professional defense as well as many martial arts, with great success among practitioners. The Reality-Training System ® is an training system for self-defence, based on reality. A.R.C (ACTION - REACTION - COUNTER REACTION). And that is the heart of the system: the “ ARC” is the study and prevention of possible counter-instinctive reactions of the aggressor following our defense. Our defense then must rely on the counter-instinctive reaction of the aggressor. AND WHAT WILL FOR YOU THE AGGRESSOR COUNTER-REACTION WHEN, FOR EXAMPLE, YOU GRIP THE ARMED HAND OF THE AGGRESSOR ??? Well, it was not difficult for the founder of R.T.S. understand that the ONLY instinctive reaction of the aggressor will be to PULL BACK THE ARMED HAND, as well as a child he puts his hand on fire immediately withdraws his hand. And then our defense must be based by calculating the counterreaction of the aggressor, that is calculating that the aggressor will not stop there, suffering our reaction but WILL PULL BACK THE HAND WITH ALL ITS STRENGTH. THE ERROR OF ALL MARTIAL ARTS IS RIGHT HERE: training only on action-reaction, the training partner who does the action of attack then becomes paralyzed with no counterreaction undergoing helpless the reaction of partners who defends himself. THIS IS PURE MADNESS!!! YET ALL MARTIAL ARTS, NO EXCLUDED, ARE BASED ON THIS MADNESS. It seems incredible but just sign up for any self-defense course or watch videos on the web to check that what is true. you will always see one that attacks and then "paralyzes" (that is, without any cotroreazione) while the other performs the defensive techniques. Every defensive technique of R.T.S system is instead created and tested by calculating the counterreaction aggressor and exploiting this advantage to the defender. All this adds to the study of ''unpredictability of events". 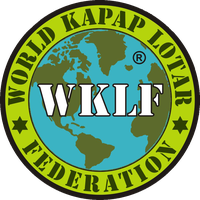 Another aspect, key in the Reality-Training System ® , is the physical and psychological stress that precedes and / or accompanying all the training of practitioners, also commonly called "STRESS INOCULATION TRAINING". It comes from the concept that generally in a real fight in the street, we do not fight better than we trained in the gym. This is because the impact with reality changes everything. We're lucky if we can give 50% of the performance that normally we are able to give in the gym without stress. The training system to reality, called for the note, Reality Training System ® by Giulio Colella, will help us to get closer to our 100%. 1) Techniques based on "reality"
4) Study of "unpredictable of events"
THE R.T.S. IS BASED ON SOME CONCEPTS ..
THAT IS WILL IT WORK IN A REAL SITUATION AND NOT AS A TRAINING IN THE GYM ???? Is it following man’s natural instincts? Does it follow the instinctive reactions of the body and mind in a real situation of danger? Does it work to the actual speed of execution, ie could I perform it at full speed? Should I try to execute it at full speed how many times it happens to me to miss it ? Did I check the biomechanics of this technique? PRE-CONFLICT: PRE-CONFLICT: am I mentally prepared to really put in practice this technique? CONFLICT: am I ready to use the force on another person until the hazard? POST-CONFLICT: am I able to overcome the psychologically traumatic event? could I apply it under stress? could I apply it in lack of oxygen? could I apply it in a state of confusion and disorientation? ould I apply it in a state of anger? could I apply it in a state of Tunnel Vision ? could I apply it against an aggressor who attacks me suddenly? could I apply it against an aggressor highly aggressive and violent? could I apply it against a ruthless aggressor willing to kill for money 2? could I apply it against an aggressor who is under the influence of drugs? Am I sure to be able to stop an aggressor willing to do anything with the first shot and then move to the next techniques? Did I study and prevent the possible instinctive reactions of my attacker due to my defense? or am I thinking it's just a mannequin standing there without any counter-reaction? If you were him would you really let him take away for example a knife by hand with a single shot and some attempt of technical disarmament? or you'd do your best in order not to give up the knife? TRY TO ASK YOU ALL THESE QUESTIONS WHEN SOMEONE TEACHES YOU A TECHNIQUE OF PERSONAL DEFENSE! "The fighter who uses basic most effective techniques is the one who usually wins." "You can learn a thousand techniques, but those that can be used successfully in the face of an aggressive and skillful opponent are very few." Bruce Lee was the first in the world to introduce the concept of open-mindedness, to have no limits, to broaden their horizons in martial arts, not to remain closed each in his own art .. but to grow all together .. He invented the Jeet Kune Do that is the art of adapting to all .. he said he was like water flowing and fitting any form that contains it.. he realized from an early age, following the experience of the many fights incurred, that down the street his original art of Wing Chun Kung Fu was not suitable, alone, to face the reality of street fighting .. and began studying other arts including Western boxing, Wrestling, Muay Thai and many others .. He was the first to realize that martial arts serve only to divide people .. we need to open your horizons .. This is the only way to grow all together .. Sometimes among practitioners of Krav Maga we hear that in Israel the Master "so" and "so" performs a technique in a certain way .. and it is assumed that it is the one and only right way .. only because a great teacher native in that discipline said so .. think if Bruce Lee was left alone with the teachings of Wing Chun because so taught by the famous Master Yip Man .. today he would not be Bruce Lee. "Have as limit no limit ..."
"Use what is useful and discard the superfluous ..."
"Be yourself, now and forever." Imi, founder of Krav Maga, left the following teaching to his successors .. .. act as Bruce Lee did with his Jeet Kune Do, and that is… the Krav Maga is not a closed system, but rather a open one .. It needs to be improved and those things that no longer work in modern times should be removed or modified and adapted .. and conversely others that are more effective ..must be added. it's just a lighting concept. The reality is you "
to deal with a world that no longer exists "